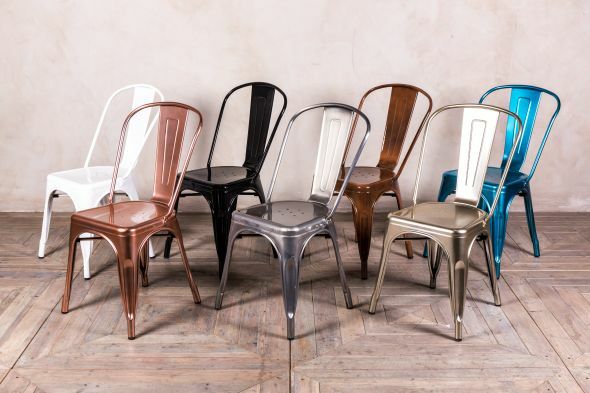 Introducing our fantastic and extremely versatile range of industrial metal Tolix style chairs. 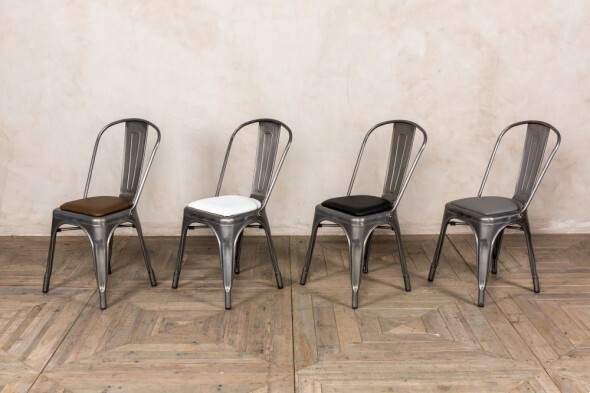 These height adjustable tolix style bar stools are available in a gun metal or galvanised finish. The galvanised stools are suitable for outside use but we will not guarantee them against rusting. 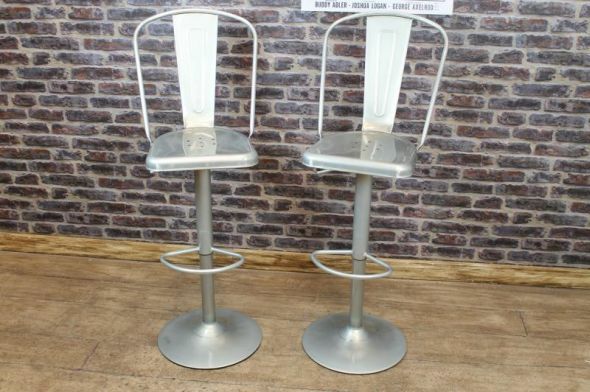 These galvanised tolix style bar stools are height adjustable, swivel 360 degrees and also feature a foot rest. The base of the stools have a rubber strip attached for added grip, and to protect flooring. The stools are delivered in a ‘knock down’ form for delivery purposes, and they are very easy to assemble. 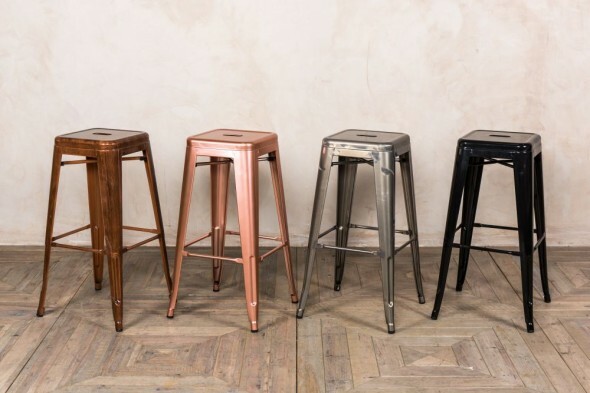 Please note – the price stated is for one stool, but we do have more available. This item has been discontinued. See more Tolix style items by browsing our website or following the links below.